Dr. James Okamoto offers sports physicals and advice about nutrition and exercise to improve performance to students and athletes in the area of Waipahu, Hawaii. He also provides Mixed Martial Arts (MMA) physical exams that meet state requirements at Ka Wai Ola Family Medical Clinic. Why is a sports physical necessary even if the athlete is healthy? Virtually every school and athletic association, whether amateur or professional, require their athletes to get an examination before engaging in sports activities, and for good reasons. Sports exams protect athletes by making sure they’re healthy enough to sustain the physical demands. Whether you’re the parent of a teen who wants to play soccer or an adult athlete engaged in mixed martial arts, a sports exam can identify physical issues that may increase injury risk. The exam also gives you the opportunity to get Dr. Okamoto’s advice about nutrition and other ways to improve athletic performance. 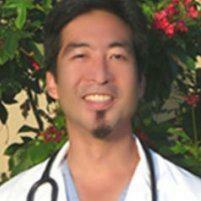 Does Dr. Okamoto provide Mixed Martial Arts (MMA) physicals? What should you expect from a sports physical at Ka Wai Ola Family Medical Clinic? When you come in for a sports physical, Dr. Okamoto will go over your medical history, much like a regular check-up, but with extra attention to sports-specific issues like past injuries, surgeries, and health conditions that affect strength and performance. Before you go to your exam, make a list of all the medications, herbs, and supplements you take. Be sure to include products purchased in a pharmacy, whether you use Tylenol to relieve aches and pains or you take sports supplements. All of these substances can interact with one another or cause side effects, so Dr. Okamoto will review them to be sure you don’t have any hidden risks. During the physical exam, Dr. Okamoto will pay careful attention to your heart, eyes and skin. Then he’ll check your bones, muscles, and joints, assessing strength and flexibility, and looking for signs of inflammation or stress. Dr. Okamoto can authorize “return to play” if you’ve been out due to sickness or injury, so if you need clearance, call Ka Wai Ola Family Medical Clinic to schedule an appointment.